By the time of Prefab Sprout's second release, Steve McQueen, Paddy McAloon had been recognized by critics and serious fans alike as one of the most important songwriters of the '80s. His lyrical lexicon and melodic invention bloomed in the synth pop atmosphere of The Smiths and The Cure, Scritti Polliti and ABC with a more macho intelligence, minus the cotton candy or the constipated vocal stylings. 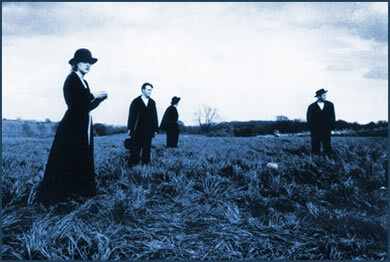 Prefab Sprout had already made critical leaps and a reputation with the precedent CD Swoon, but in a moment of brilliant serendipity engaged the zeitgeist genius of Thomas Dolby to bring their musical muscle to the masses. Steve McQueen, once the McQueen estate bridled at the title, was released in the US as Two Wheels Good. The singles and albums charted more seriously in the UK than in the States, but it did remarkably well here, considering how smart the music was. When you listen to the four clips on the Listen page, we'll bet that you recognize at least two of the songs, even if you don't know the group by their name, or the name of their creator Paddy McAloon. 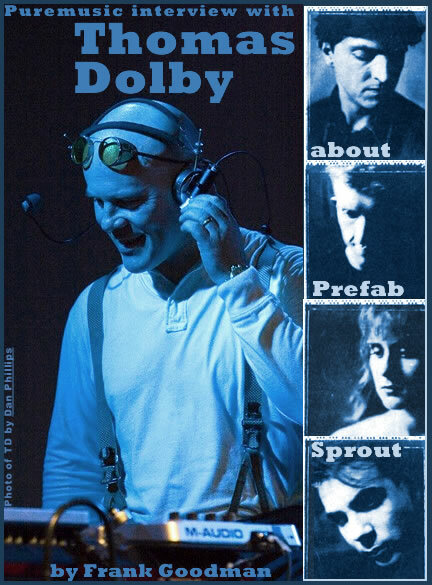 It was fascinating talking with Thomas Dolby about the group, the music and the time--he's ever sharp, very eloquent, and a very witty character. We also delve into his new music, his technological windfalls, the relative shambles that the music industry finds itself in, and what the future may hold.